Hey! !fellow book lovers, I have an another new blog for you today. The thing is I don't know why I haven't written this blog before because I did finish this book back in July. Somehow amongst the many things I have to do, I forgot to write the blog for Katie Van Ark's The boy next Door, which is weird because I love this book. Luckily I did take notes, So I can write the blog now for you all and post it. I did purchase this book off of Amazon on June 23rd, 2017, after finding it from the Publisher site SwoonReads and I finish it on July 17th. I really love many of Swoon-reads books especially during the summer because they are mostly contemporary young adult or new adult romances. So now onto my summary and final thoughts of the book. 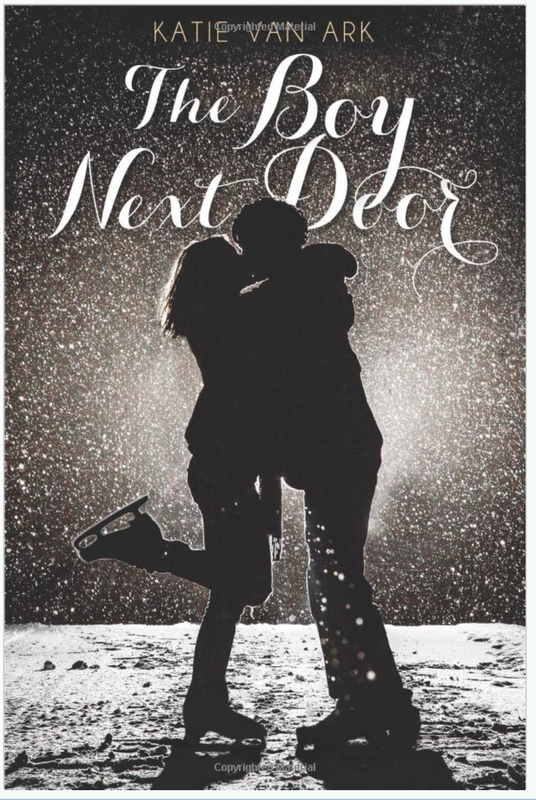 This book is about a figure skating couple named Gabe and Maddy who have been friends and neighbors since childhood. They become neighbors during their childhood, then partners for skating thanks to Gabe's mother who used to skate as well. As for Maddy, her Father and Mother are a dressmaker and Senator, while both of Gabe's parents are Doctors. Now back to present day where Gabe and Maddy are competing to become an adult pair skating team compare to them being a junior team. Not only are they trying to be an adult pair's team but add in the fact that Gabe now has feelings for Maddy now, while Maddy has kinda of always had feelings for Gabe. While trying to be a new couple which they decide to keep a secret plus an adult pair team, they also come upon a lot of misunderstandings in the relationship, dun dun dun. Like all romance plots always seem to suggest, do they overcome those misunderstandings or do they let them win and stay apart, the only way to know is for you to buy the book. Now onto my final thoughts for this wonderful book. I rated this book 4.5 stars out of 5 because it just bought so many nostalgic memories back. As a child, I would spend my weekends watching Pair skaters or skaters, such as Michelle Kwan and then Ekaterina Gordeeva and Sergei Grinkov. This book especially reminded me of Gordeeva and Grinkov from the very beginning which is funny, because Katie adds a line in this book about the couple. This book was such a 90s nostalgia for me and I loved it so much. I also loved how Gabe started to fall for Maddy, it was so sweet and adorable. Katie makes you really want these two together from the very beginning as a couple. Katie also is a former skater, had the knowledge of Skating and really puts it forth in the writing. She describes the skater moves so well. Katie also did a great job of making Maddy the fearless one while Gabe was usually the one scared of things that really matter. I just honestly can't tell you how much I love this book. This is one book I know I will reread over and over again for just the story. P.S Katie, if you have any new books coming out, I would love to review them, Kidding only a little. This is just a new favorite of mine, that I sincerely hope I convince you to pick up, read and buy. Please Go BUY this book Please. As always all the links to the author and my social media are listed below.